Anyone who has once been a teenager can understand the infuriating helplessness of trying to be understood by their parents. In the same vein, anyone who has parented a teenager understands the agonising frustration of trying to relate to their adolescent child. Being the first generation to grow up with the internet, outside influences have the ability to infiltrate the minds of our youth more efficiently than ever. Teenagers today are being shaped by a completely new world with different ideals compared to their parents. Not to mention, teenagers are smart. Or at least we think we are. Raised in an era of social progression, you might be surprised at how well-balanced of an argument we can formulate to tell you why we should be allowed out past curfew. Combined with our naturally robust, rebellious teen energy, a Gen Z child is probably parenting’s worst nightmare. But that doesn’t necessarily mean we don’t crave a healthy relationship with our parents, or that we don’t feel the distance either. Vanessa is a friend that I went to school with who always travelled with a film camera in hand, usually one passed down from her father (Mr Ng) who is an avid film photographer himself. Though they nurse 42 years worth of an age gap, and she often ridicules him for saying “the disco” instead of “the club”, they’ve always seemed to have a very close relationship. With their mutual interest in film photography a unique and rare thing they seemed to have in common, I wanted to find out more about whether this has made a difference; if it has bridged the gap in their worldviews, and if it has indeed made it easier for them to relate to each other. 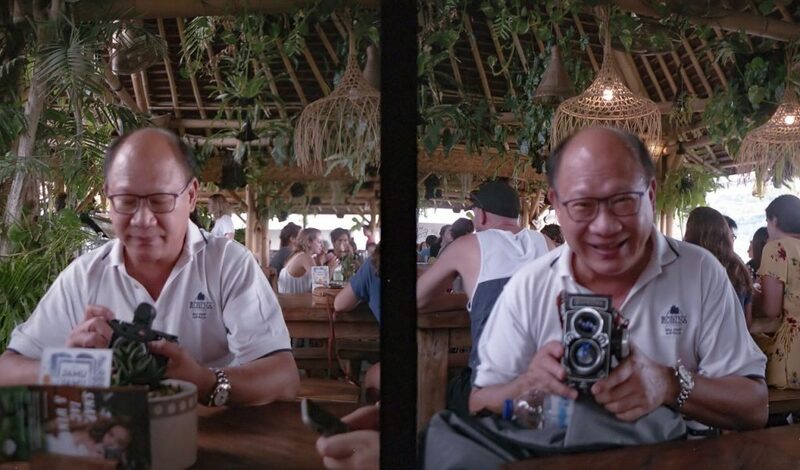 “In those days there weren’t a lot of things to do, not like you guys nowadays, so picture taking became a natural thing to do,” Mr Ng reminisces, sharing how he first started dabbling with toy film cameras like many others during the time of his youth. Smiling, he explains how he grew frustrated over time with the constant light leaks brought about by the flimsy plastic cameras, and wanted to shoot higher quality photos. So much so that his mother decided to buy him a Canon rangefinder. “So how old were you when you got your first camera?” I ask. “Very young, about 12 or 13?” he replies as Vanessa bursts out in laughter at the thought of her now 60-year-old dad once being a teenager himself. “And I used that for a long long time, but just normal family shots, nothing special,” he continues. It wasn’t until he went to England for university that his mother bought him a proper SLR: the Nikon F2—what he emphasises as his first “real” camera that fully immersed him into the world of photography. Despite growing up with a photographer Dad, Vanessa, the second of three daughters, never really cared much for film apart from noticing that it was one of her dad’s interests. Between being constantly photographed by her dad and seeing how he unwaveringly captured the world around him, film became an integral and normal part of the Ng family life. As such, Vanessa never thought it was particularly “cool” or saw it through a lens of novelty as most do today. “My dad was shocked when I brought home a camera,” animatedly gesturing as she speaks. For some reason, however, the father-daughter pair tried and tried but the camera just wouldn’t work. Figuring that it probably broke on the flight back, Mr Ng decided to gift his daughter with a camera from his personal collection. 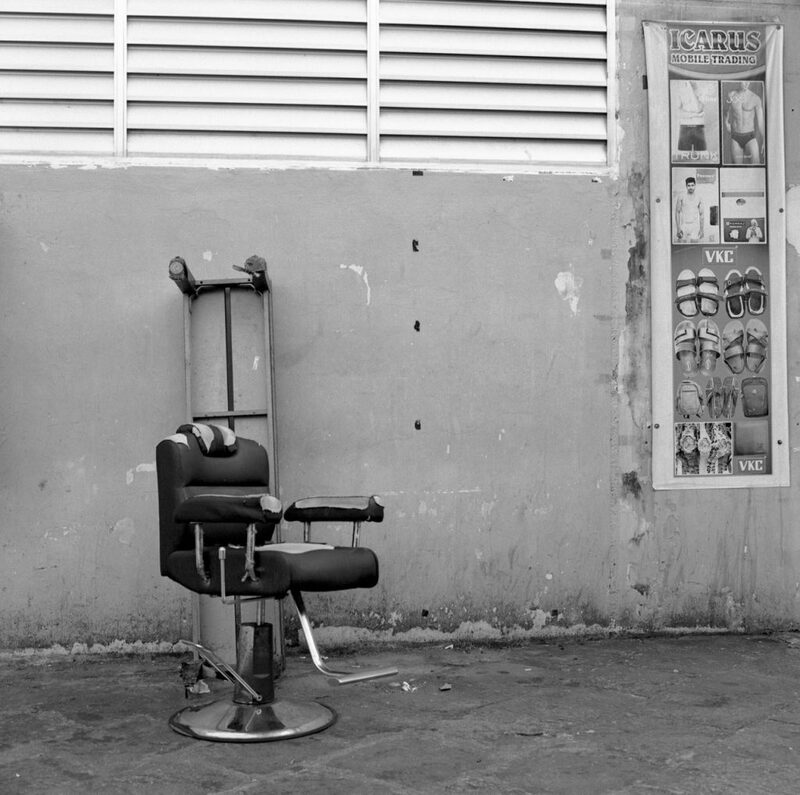 Once belonging to her grandfather, it was an Olympus Pen—what Vanessa fondly remembers as her first “real” camera that started her own journey into film. Since then, Vanessa has gained a new level of respect and appreciation for her father’s devotion to film. A burning question most might have is: why? 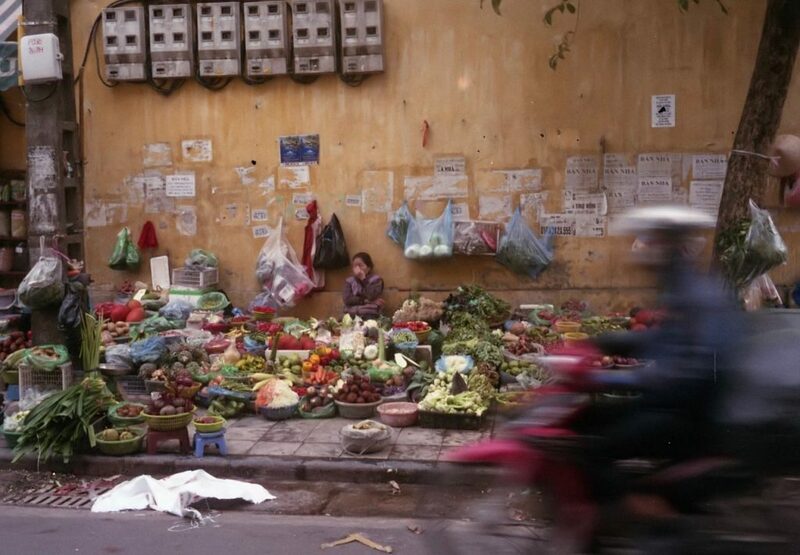 When digital photography first emerged, Mr Ng felt that the quality of the photos couldn’t be compared to that of film. Though digital has advanced to what it is today, he firmly stands by film. “It’s not a matter of being advanced, it’s about the feeling and the moment,” he adds, “The experience is completely different”. With digital, people tend to get too technical and lean towards what Mr Ng terms as being “trigger happy”, revising shot after shot until the perfect image is acquired. Although this regularly raised point by most film-lovers might come off as a form of romanticism, I find this concept of slowing down valuable in a world that’s changing faster than ever. 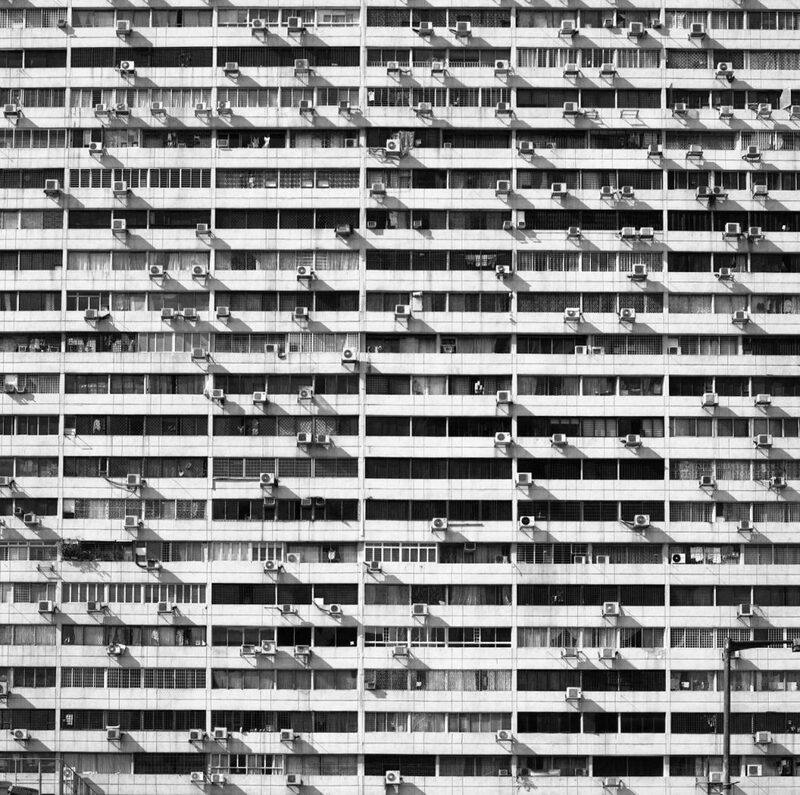 Singaporeans especially live fast-paced lifestyles. 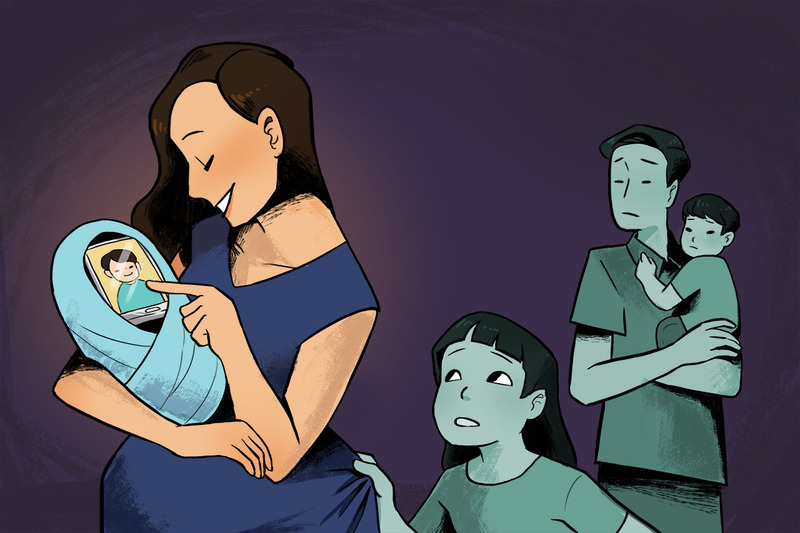 The same can be said for our parent-child relationships if we fail to consider the importance of cherishing time: in the blink of an eye, our children and parents can soon become unfamiliar faces. When posed with the same question, Vanessa answers that she’s never cared much for digital photography. Like her father, the teenager’s inclination towards film is intrinsically tied to the experience it brings. 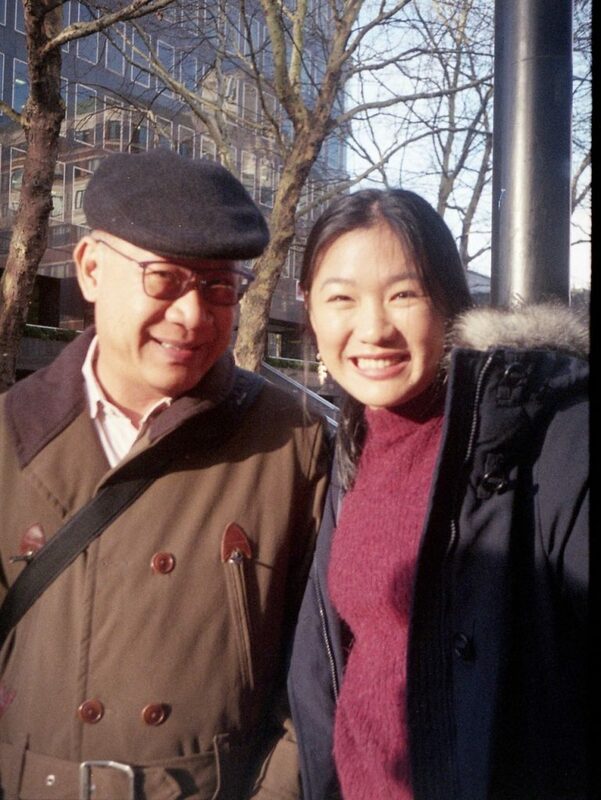 In his schooling days, Mr Ng joined a photography club where he learnt to develop film. Today, he gives me a tour of his in-house dark room where he develops both his own and Vanessa’s photos. He briefly demonstrates for me the developing process he’s also taught his daughter. She lightheartedly shares about a time she failed miserably while attempting developing on her own, ruining the entire roll. “It made me realise that film is not an easy thing, it’s a lot of trial and error,” she concludes. Mr Ng then shows me a portion of his camera collection. At first glance, the modern black bag looks like nothing much; when unzipped, it reveals an assortment of compartments, within each a unique camera. Beyond an array of oddly sized cameras from various brand and models, the bag resembles a time capsule, tightly zip-locking an era in history. Camera after camera, he enthusiastically gives me a crash course on each one’s history and how it works. Sometimes, Vanessa chips in with extra information or an additional question she has. Other times, she shares a memory or two of their experiences with the camera in hand. 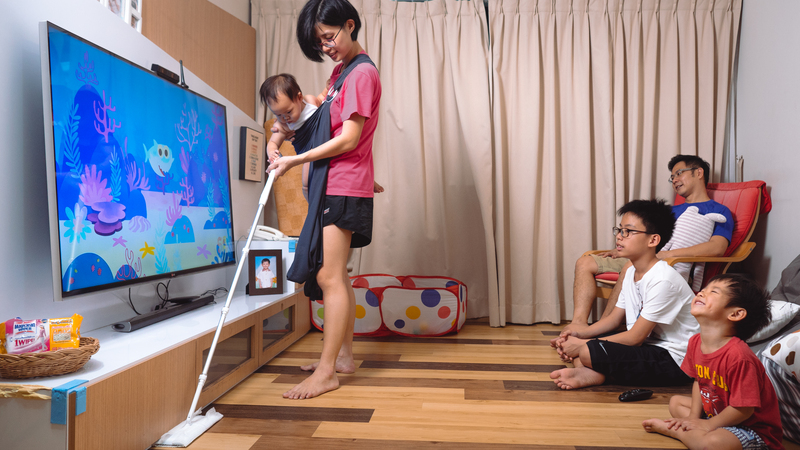 When asked how it makes him feel that his daughter too has taken up an interest in film, Mr Ng simply exclaims, “Good!” before breaking into a small chuckle. Being the person to scan all her photos for her, he enjoys seeing each shot she takes and advising her on how to hone the craft. “My dad is really generous with his knowledge of film and film culture,” Vanessa tells me, “And knowing we have this common interest just means that we can spend this time doing this together,” adding that he’s also someone she can easily turn to when her camera malfunctions, or when she finds herself in any sort of predicament. She would likely never have ventured into film without her dad showing her the reins, sharing his collection and vast expanse of knowledge with her. Every Saturday, Mr Ng partakes in photography walks with a group of film enthusiasts, with whom he even took a trip to China in 2012. Instead of joining these trails, Vanessa mainly photographs her day-to-day life, taking snapshots of her friends. “My photos are a lot more frivolous,” she jokes. In contrast, Dad tends to use fully manual cameras, with his style featuring more scenery and the use of monochrome film. She reveals that it takes much more skill to shoot as he does, without hiding behind bright colours and a clear subject. Vanessa herself uses semi-manual cameras, her style steering towards being colour and people-centric. Despite these differences, the medium of film remains common ground for the pair. Though they do not specifically plan to take photos together, both enjoy shooting street photography and do so together on family vacations. Most importantly, Vanessa keeps her father’s words on not being “trigger-happy” close to heart, doing her best to maximise each shot she takes. “What’s your favourite picture of his?” I ask. Unable to pinpoint just one photograph, she brings me to a cupboard stuffed to the brim with old photo albums. Hanging on the wall nearby is a large framed picture of a river Ng took on his trip to China. 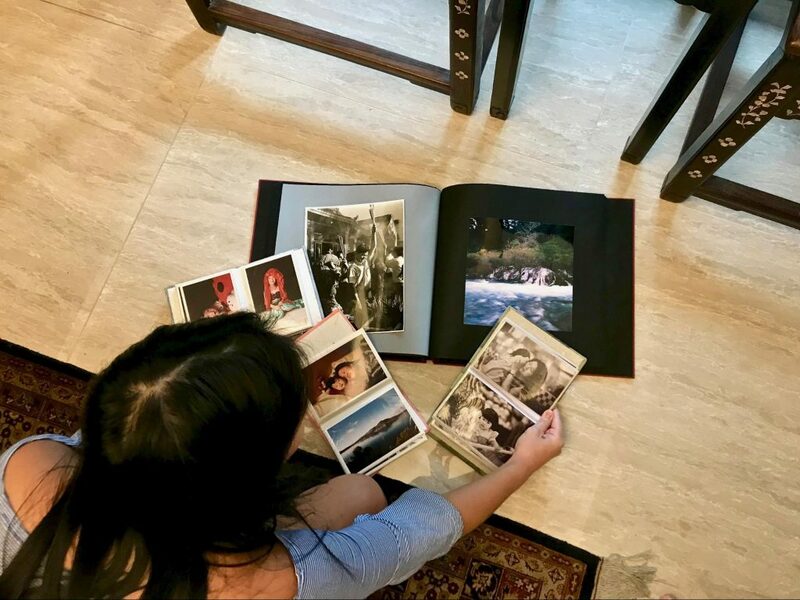 She passes me an album from her father’s trips, but also shows me some heartwarming photographs charting her growing up years with her sisters, describing each event with as much detail as she can remember. “Honestly I never really noticed it as a kid,” she smiles as she flips through the albums, in response to my question about what it’s like to grow up with a photographer Dad. She explains that because these photos were taken on film, they all had to be printed and each album is basically a roll of film. While it may be true that Mr Ng grew up in an era with little similarities to that of his daughter, their shared love for film photography bridges that gap. Whether it be photography, film, or relationships, some things don’t always have to fade, and will inevitably find a way to transcend time. What is your solution to connecting with the younger generation? Tell us at community@ricemedia.co.